The Addis Dustpan and Soft Brush Set is a simple, high quality dustpan and brush for general cleaning use. The deep-backed dustpan features a rubber lip to pick up dirt and dust smoothly, and it features a serrated edge along the back to remove stubborn dirt from the brush. 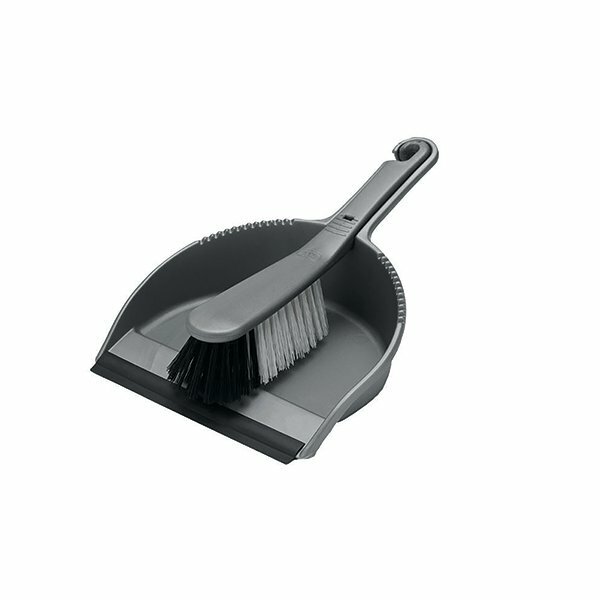 The soft bristles allow for gentle cleaning on smooth floors and clips snugly into the pan for storage. Use it for general cleaning in your home, office or retail environment.